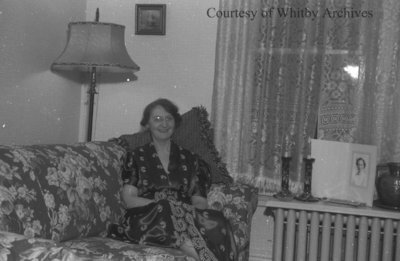 A black and white negative of an unidentified woman sitting on a couch and smiling at the photographer. Unidentified Woman, January 1940, Marjorie Ruddy. Whitby Archives A2013_040_673B.